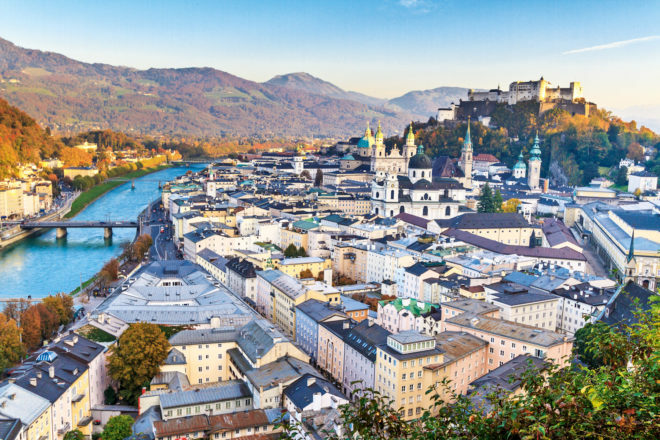 Discover why Salzburg in Austria ranked #92 in our countdown of ‘100 Most Incredible Cities in the World’. This medieval Austrian city is dripping in Baroque architecture, was the birth place of Mozart and setting for The Sound Of Music. Mozart played for the clergy in churches and for aristocrats and royalty in their mansions and palaces; it was a conservative, pious society at the time. However, today there are a number of prestigious concert halls to watch opera, ballet and listen to Wolfgang. The pick of the bunch has to be Felsenreitschule, a former 17th-century bishop’s summer riding school. Its roof can be removed in summer and it looks spectacular lit up at night.